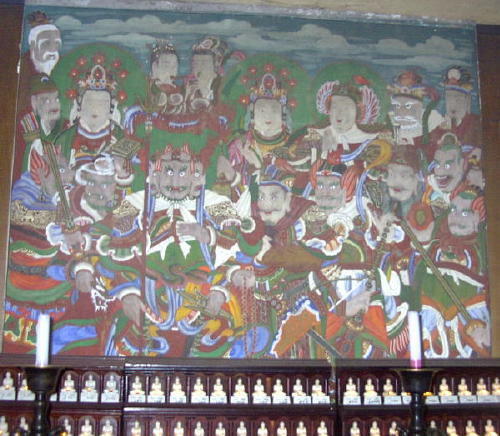 This small temple included a large Seven-Buddha painting, and the section of it shown here (about an eighth of the original artwork) depicts a major Buddhist Ceremony as was performed centuries ago on Korean Holy Days. 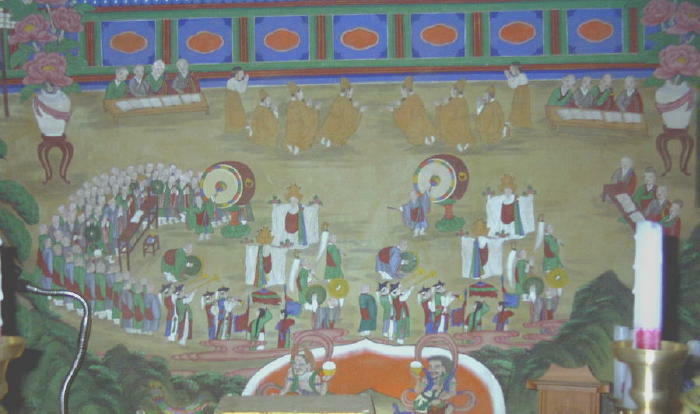 Six officials and two women pray at the top, in front of two tables with four Buddhist Masters (senior monks) each, while Lotus-Flower-Dancing, Druming, Cymbal-playing and Prayer-Parading is performed by many monks and laymen in the yard up front. 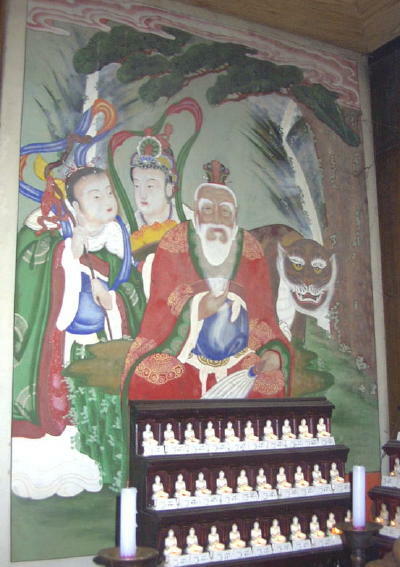 The two "flying" figures below are Guardian-demons. 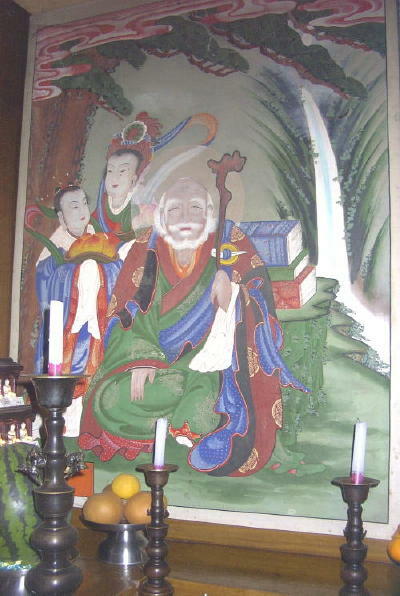 Left: a typical Dok-seong. 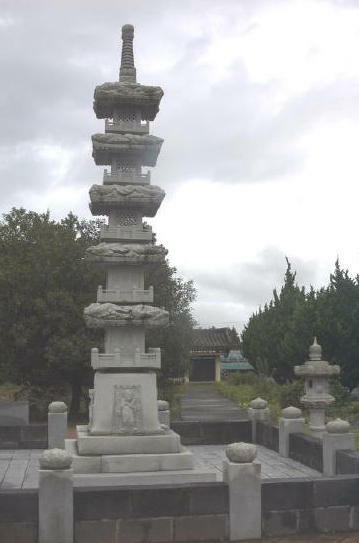 Above: a very unusual off-center Shin-jung, with San-shin in the far upper-left corner.